One of the big issues facing public cloud vendors is persuading companies to take on-premises workloads and move them to a public cloud data center. Oracle is trying to enable that shift with a new set of products that allow customers to get the same hardware that Oracle runs in its data centers behind their own firewalls. 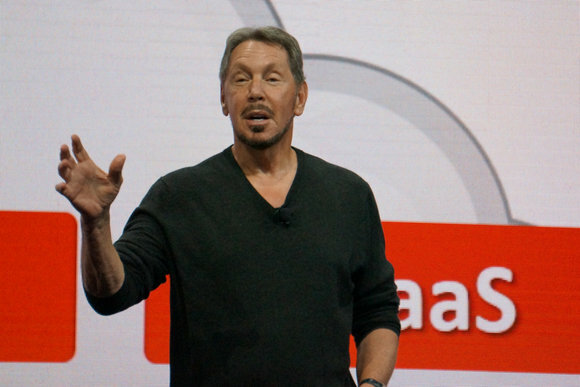 Executive Chairman Larry Ellison unveiled the Big Data@Customer and Exadata@Customer machines on Sunday, building on the company's Cloud@Customer hardware offering. It's a move by the company to take advantage of Oracle's expertise building hardware and combining it with software to reach customers as they're in the process of migrating to the cloud. Ellison expects on-premises and cloud workloads will have to coexist for at least 10 years, he said. Offering these machines may be a potent draw for customers because many of Oracle's public cloud-only competitors like Amazon Web Services don't have a comparable product. Customers also won't have to pay for the hardware itself -- Oracle will charge them for what they use at the same rate the company bills for the same services in the cloud. Using a Cloud@Customer system is supposed to make it easier for companies to migrate workloads back and forth between Oracle's public cloud and the company's on-premises hardware. That's an important feature when competing with the monthly billing for something like AWS, and it may be a difference from Azure Stack, Microsoft's competing product for running a private instance of its cloud platform in a customer's data center. Pricing for Azure Stack -- which requires that users purchase hardware from one of Microsoft's hardware partners -- hasn't been unveiled. The devil will be in the details for the Oracle hardware. While the company promises a seamless management experience, Ellison didn't show the actual experience of managing a deployment across on-premises and cloud machines. And, of course, implementing these machines means that companies will be diving deeper into Oracle's ecosystem. "Generally, cloud providers have struggled in offering an identical version of their cloud for on-premise operation, especially in terms of providing the multi-tenant features for different corporate departments to use and the single pane of glass management," Al Hilwa, application development software analyst at IDC, said in an email. The Cloud@Customer machine is available now for infrastructure workloads, with the Exadata@Customer and Big Data@Customer machines coming by the end of this year. It's part of Oracle's overall push to get more people using its cloud services as the tech world transitions away from an era of companies relying solely on building and maintaining their own data centers.